Here are the best workout earbuds for sports, running and gym that provide excellent sound quality and feature a completely sweatproof design for sprots activities. These Bluetooth earbuds are designed for high performance activities and come with secure ear hooks to fit inside your ears without falling off. 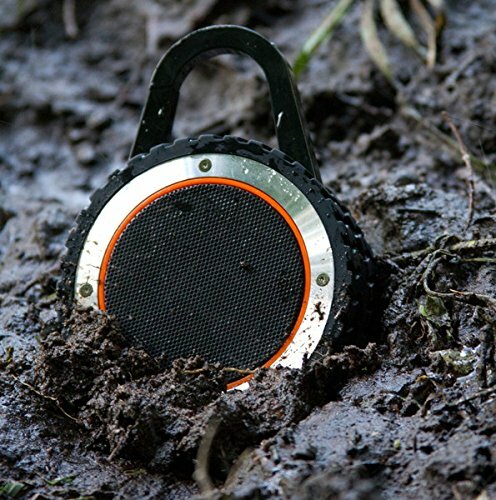 They are perfect for rigorous sports activities such as gym and running, and even come with noise cancelling microphones for you to take hands free calls on the go. Our experts have tested over a hundred sports earbuds to determine which ones are the best, so be sure to check out our top picks below! The Treblab J1 are wireless premium quality earbuds with Bluetooth connectivity and aptX technology that have been designed for sports and running. They are IPX6 sweatproof and water-resistant which makes them suitable for running or cycling outdoors. They also feature xDrop anti-drop ear fins for a custom fit that enables them to stay in your ears through workouts. In terms of sound quality, the Treblab J1 earbuds provide stereo-quality HD sound, with 10mm drivers and aptX technology. They deliver clear mids and highs as well as punchy bass, and their volume output is adequate for most occasions. 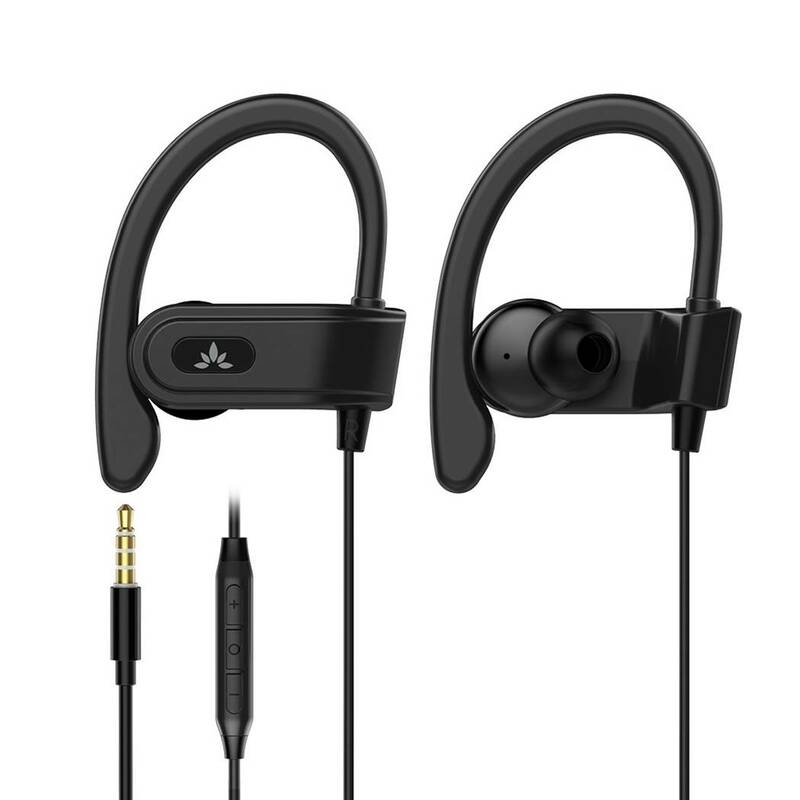 They also come with CVC 6.0 passive noise-cancelling technology to block out external noise. 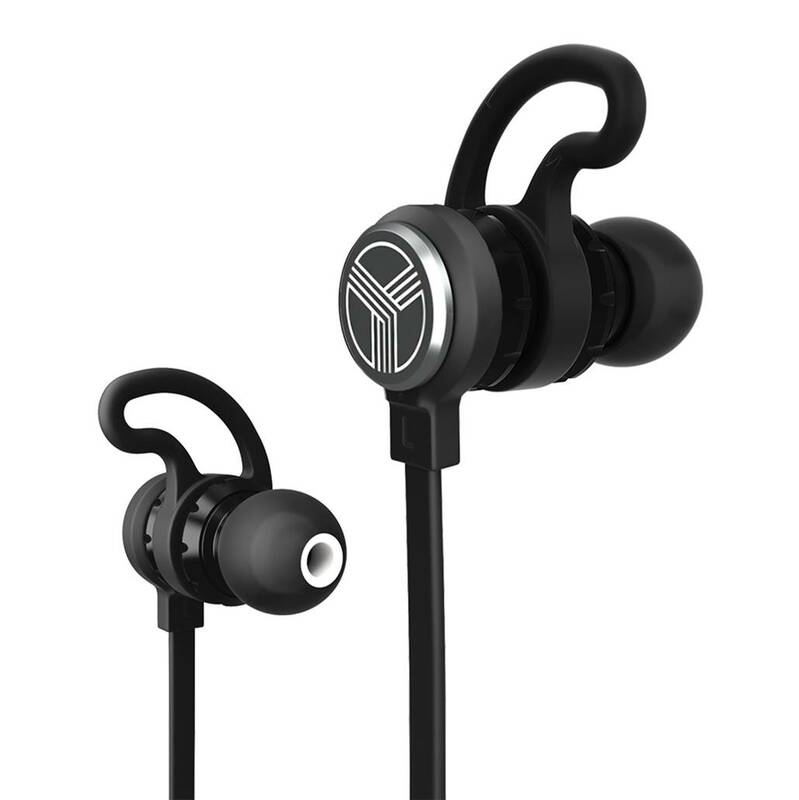 The Treblab J1 earphones use Bluetooth 4.1 to connect to any smartphone or computer, having a signal range of 33 feet. They connect fast and stay connected, with aptX technology to make sure the music won’t stop until you want it to. They also feature a built-in microphone to make and take calls and you can then easily switch straight back to the music. These earbuds come with an extra-long battery life: their 100 mAh battery allows for 8 hours of playback from a 2-hour charge. On the whole, the Treblab J1 are very portable earphones that are highly recommended for outdoor use. The Mpow Flame are wireless headphones with Bluetooth connectivity that have been designed for use at the gym, while running or throughout a workout. 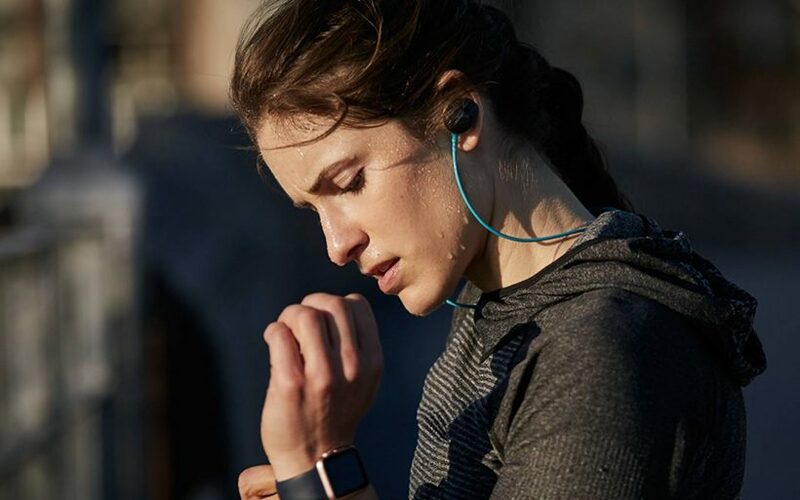 They are IPX7 water-resistant thanks to their nano-coating that efficiently protects the headphones from sweat and ensures bigger life span, making them suitable for running, jogging, hiking, and travelling. In terms of sound quality, they deliver crisp and clear sound performance with rich bass and mids thanks to the tuned driver, CSR chip and Bluetooth 4.1 technology. The ear hooks have the proper hardness to ensure a snug fit, and they are suitable for normal sized ears. The earphones come with an additional pair of memory-foam ear tips (able to adapt to your ear canal to provide a perfect seal and snug fit to help keep your earbuds in place) and a cord clip, besides 3 pairs of regular ear tips in different sizes for your custom fit. The cord clip can shorten the wire to fit your back neck or head and the package also includes an EVA bag with a cushioned interior to store your earphones. The Mpow Flame earbuds come with an improved lithium polymer battery which provides up to 7-9 hours of playback with a quick charge of 1.5 hours. The remaining battery power of the headphones can be seen on the iOS Phone screen. In addition, the Mpow Flame has 12 V over-voltage hardware cut off and 1 A over-current restored fuse to achieve safe charging. The SENSO Bluetooth headphones are wireless earphones that have been designed for people that want to enjoy music while doing sports. They deliver true high fidelity sound featuring the latest Bluetooth 4.1 CSR technology and premium quality acoustic components that produce crystal clear sound quality with deep bass and crisp treble. The SENSO Bluetooth workout earbuds ensure a comfortable and secure fit with active buds that feature ergonomically designed flexible ear hooks with gel Flex silicone earbuds to ensure your headphones stay comfortably in place. The quality of the materials ensures fatigue free ears and tangle free comfort. They feature IPX7 waterproof and sweatproof rating that makes them suitable for activities such as outdoor running and cycling. The Lithium polymer battery allows music playback for up to 8 hours and 240 hours stand-by with a quick charge of 1.5 hours. 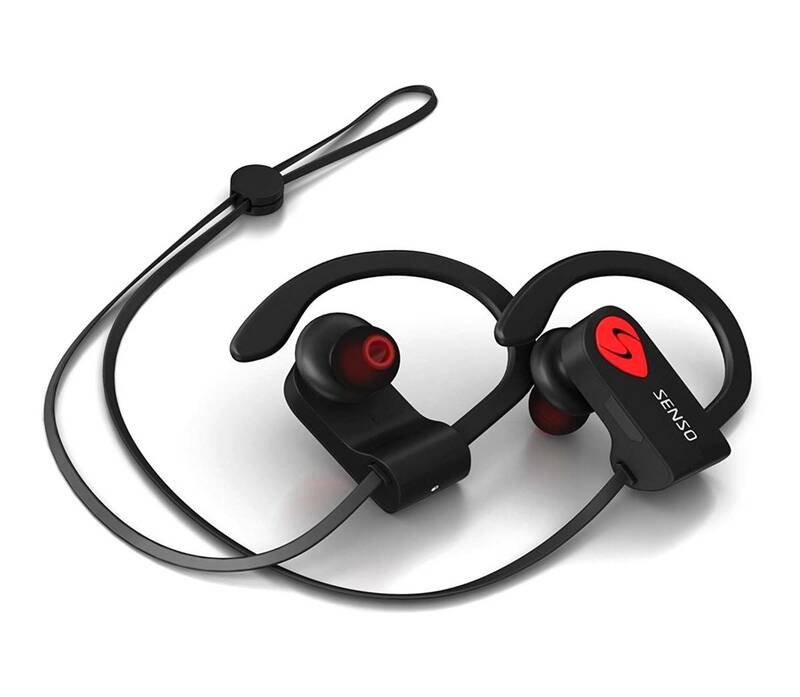 Featuring Bluetooth V4.1 wireless technology, the SENSO Bluetooth headphones connect with all Bluetooth enabled devices up to 30 feet away, and they are really easy to pair. They can also be connected to two different devices simultaneously. The CVC 6.0 noise suppression technology allows you to focus on your favorite music and answer calls without skips or missed words. The package also includes a carrying case, s short charging cable, 3 sets of ear tips (small, medium, large), 1 set of memory foam ear tips and a cable management clip. The Rovking wireless workout earbuds are earphones that have been designed for running and doing sports while listening to music. They deliver premium sound quality with crisp and clear audio performance. They are good for listening to music during workouts, as well as listening to audio books or video during commute. The built-in mic allows you to take noise-free calls while in the gym or working out. 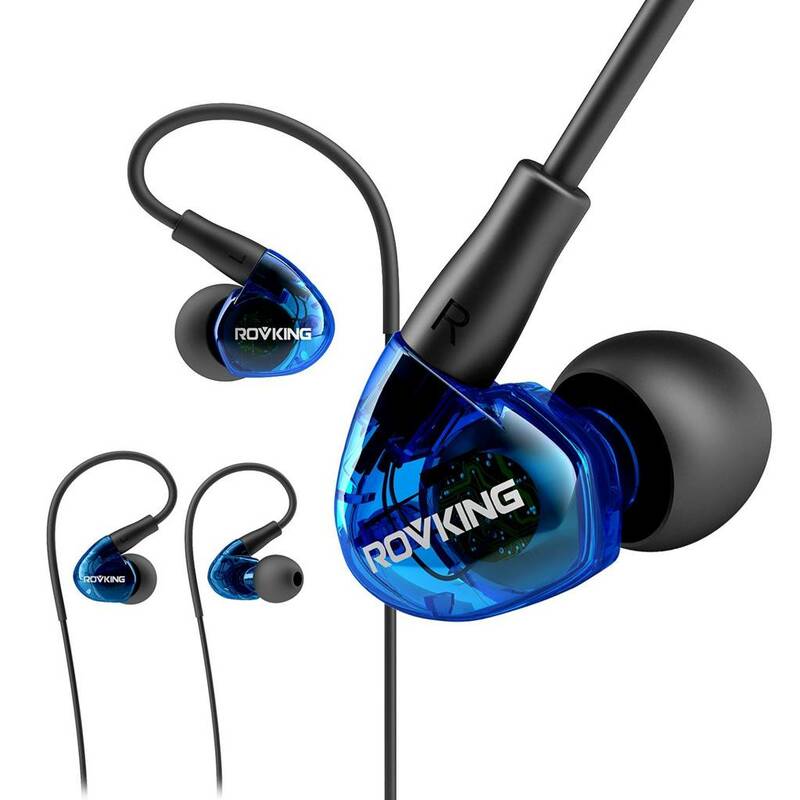 We liked the fact that the Rovking workout earbuds feature an ergonomic design and the ear buds size are smaller than other earhook headphones. As a result, you don’t have to stretch your ear to put earbuds in ears, and they can fit in and over small-average sized ears with no pain. 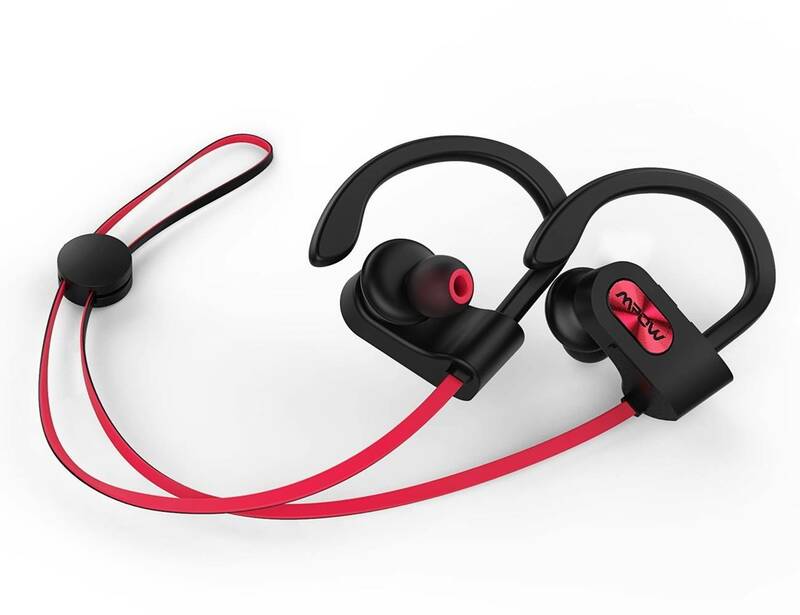 The Rovking workout earbuds are comfortable to wear and ensure a secure fit without falling out of your ears, thanks to pliable over the ear loops and ergonomic ear bud design. Additionally, you can use the in-line button to answer/end phone calls. There’s a clip which will help you stabilize the set while doing different physical activities. You can also easily play/pause, skip music tracks through the remote button, without the need to take out your phone from pocket or arm band. 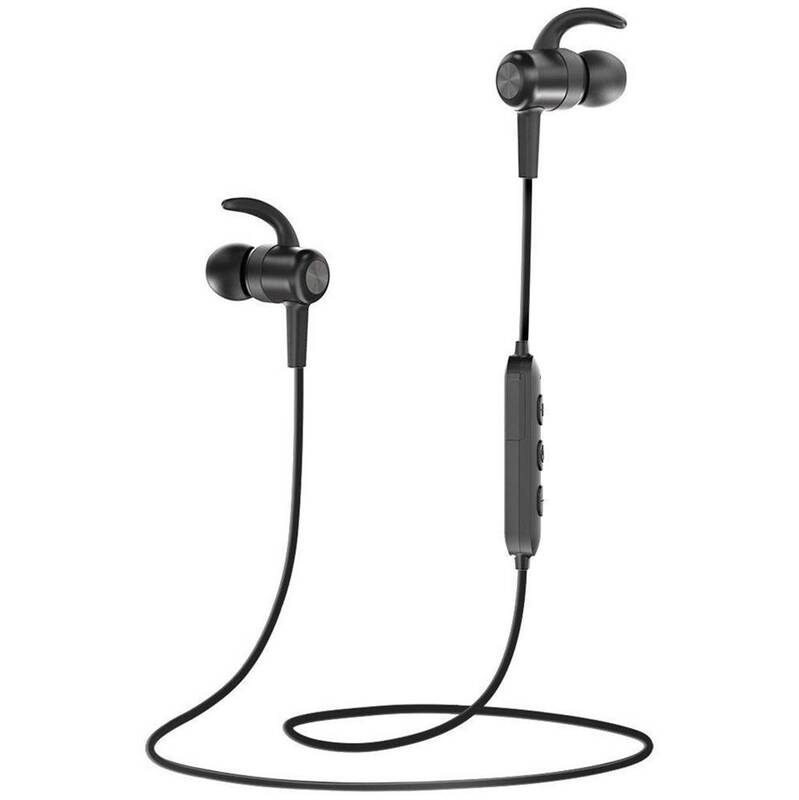 These workout earbuds also come with 4 different sizes ear pieces to ensure a custom comfortable fit, sealing the ear to deliver bass and isolate noises. The earbuds are fully compatible with iPhone, iPod, iPad, mp3, smartphone, laptop, computer, tablet and PSP. The TaoTronics sports earphones are workout earbuds that have been designed for daily use both indoors and outdoors. They feature Bluetooth 5.0 technology and aptX codec technology that transmits CD-like sound quality while freeing you of cables. Their audio performance comes out crisp and crystal clear with attention to detail – EDM, rock and hip-hop music genres sounded particularly good on these earbuds, with crystal clear vocals and deep bass response. The built-in mic allows you to take hands-free calls while the built-in controls let you take control of your music easily, without the need to take the phone off your pocket. Their 120 mAh battery provides up to 9 hours of playback and 175 hours of standby while ensuring a stable, uninterrupted connectivity. The in-unit ceramic antenna further boosts the signal for crisp hands-free calls. The TaoTronics Sports workout earbuds come with 3 pairs of interchangeable, differently-sized earbuds and ear hooks so you can find the snuggest, most comfortable fit. Besides the ear hooks and earbuds, a USB charging cable and a user guide are included in the package. The IPX6 isolation protects them against sweat and water splashing when working out. Their secure magnetic design integrates two discreet magnets in the earbuds so you can wear them like a necklace and avoid losing or breaking them. Overall, the TaoTronics Sports earbud are some of the best workout earbuds we have tested that provide great sound performance with a secure and comfortable fit, and we highly recommend them. The Anker Soundcore Spirit X are wireless headphones that have been designed for use at the gym, while running or working out. They deliver high definition sound with clarity and attention to detail. Featuring 10 mm dynamic drivers, precision tuning, and exclusive BassUp technology they deliver thumping bass as well as crystal clear mids and highs. They feature sweat-proof technology that implements a submarine-inspired structure and impermeable hydro-seal to create a barrier around the sensitive internal components. 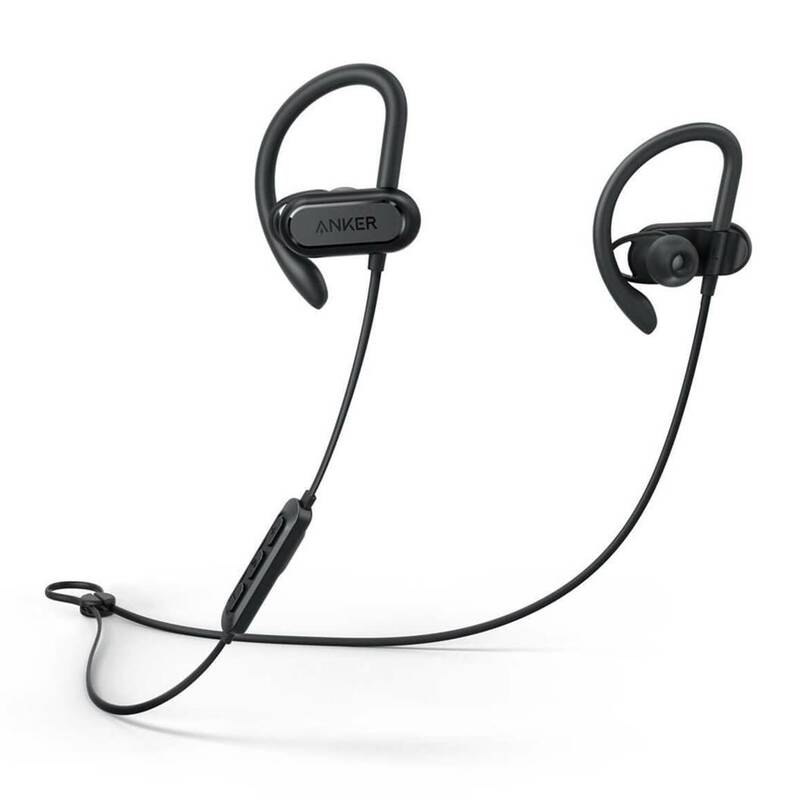 The Anker workout earbuds come in plain black color and have sleek and modern looking design. Their ergonomic design makes them really comfortable to wear as they feature gentle over-ear hooks and softened silicone ear tips that stay in place while you work out. They also come in different sizes in order to ensure a tight and comfortable fit. 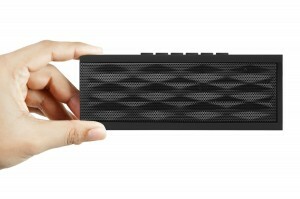 Their long battery life allows for 12 hours of continuous playback with 1.5 hours of charge. The Bluetooth 5.0 connectivity makes them compatible with smartphones, tablets and computers as well as any Bluetooth-enabled device. The package includes a bunch of different accessories such as 5 different ear tips (XS/S/M/L/XL), 3 different earwigs (S/M/L), 2 cable clips, a shirt clip, a micro USB cable for charging, a travel pouch and a carabineer. The SoundPEATS Q12 are in-ear wireless workout earbuds that have been designed for everyday use. They have Bluetooth 4.1 connectivity that supports two devices connected simultaneously and allows for automatic reconnecting if the device has been paired successfully before. They deliver high fidelity stereo sound with aptX codec. Their upgraded built-in lithium batteries support up to 8 hours of playback (depending on volume and audio content) with 1-2 hours of charge. Furthermore, the SoundPeats Q12 earbuds provide a battery indicator on iOS and Android smartphones. Their lightweight design at 0.53 ounces net weight makes them really comfortable to wear while working out. The built-in magnets support attaching to each other like a necklace around your neck when not in use. This elegant design helps earphones storage and keeps you away from getting entangled with the wire. The design of these workout earbuds are sleek and minimalist, and feel very comfortable when worn in the ears. The SoundPEATS Q12 wireless workout earbuds are ergonomically designed with oblique angle in order to fit your ear canal snugly and reduce ambient noise. Featuring 4 pairs of ultra-soft ear tips (XS/S/M/L) and 3 pairs of ear fins, the earphones ensure comfortable and secure wearing and using experience. The in-line microphone and volume buttons enable you to make hands-free calls and manage music easily and instantly without taking the phone out of your pocket. The Avantree E171 are wired sports earphones with integrated ear hook design that deliver crystal clear sound quality. They come in plain black color and feature sleek and modern looking design. Their ergonomic design with 3 different sizes of silicone ear buds ensures the optimum fit for your ears. The ear hook design gives a secure fit making it suitable companion for running, jogging or the gym. The inline silicone microphone lets you take hands free and noise-free calls wherever you go. We liked the fact that the Avantree E171 workout earbuds come with an included multi-functional in-line control enables you to play / pause music, adjust volume, skip tracks, accept or reject calls, activate the voice assistant or call the last dialled number. The headphones are compatible with most 3.5 mm enabled devices like iPhone, iPad, Android devices, MP3 players and computers. The 3.5 mm gold-plated plug jack gets you crystal clear sound quality and guarantees sound spread without distortion. The earphones come with a dual-purpose clip, which you can clip to your collar for a better experience. This clip also acts as a wire splitter for shorter wires between the two ear buds while running. On the whole, the Avantree E171 are really versatile workout earbuds for those who enjoy music, audiobooks or taking calls at the gym or while exercising in general with a secure fit and ear-hook design. The Sennheiser PMX 684i are in ear headphones that are made to be used while doing sports or any type of work out. They deliver crystal clear sound quality with loud bass and clear middle and high frequencies. They come with wired technology and their 3.5 mm plug makes them compatible with smartphones, tablets and computers, and they are also compatible with Apple products. 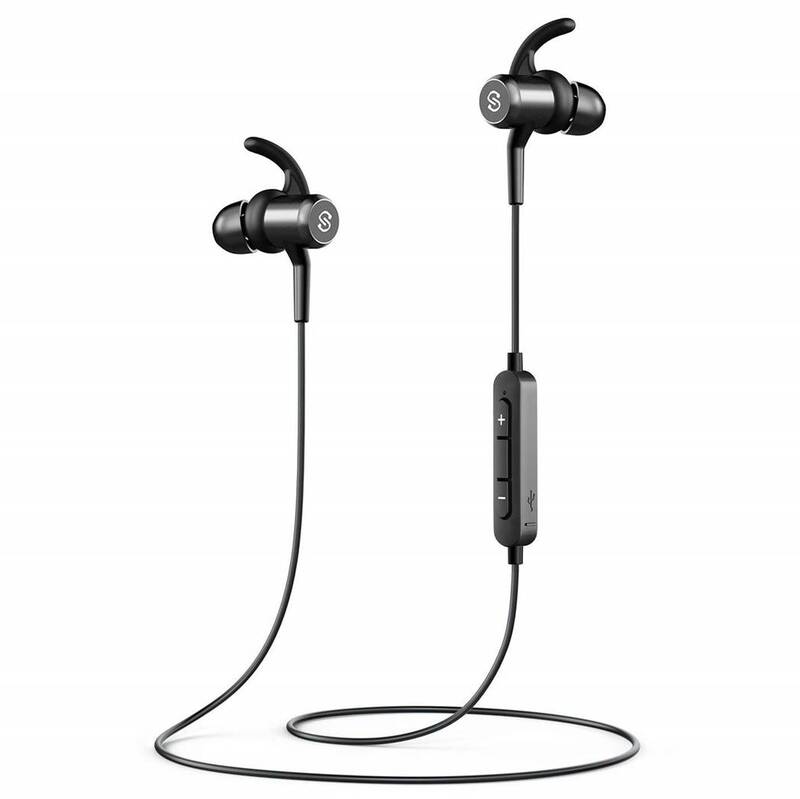 The Sennheiser PMX 684i workout earbuds have lightweight design, featuring an ultra-lightweight neckband which remains secure during your exercise, making them suitable for workouts, biking, skating and running. They are sweat and water resistant and thus can be used both outdoors and indoors. They allow you to take hands free calls and easily control your music with a smart remote that has a microphone and volume control. The in-ear design provides a secure fit, so that they won’t fall out even during intense workouts. These earbuds are safe for bikers or runners on the street because they feature passive, noise isolating technology to allow you to make calls/enjoy your music while staying aware of your surroundings. They feature modern and elegant design with green/gray color. On the whole, the Sennheiser PMX 684i are some of the best workout earbuds that come highly recommend for those looking for quality earbuds on a tight budget. The H2O Audio Surge+ some of the best workout earbuds that is suitable to use while swimming or doing any type of water sports. They deliver crystal clear sound with thumping bass thanks to their high quality internal sound components. They feature passive noise cancelling that lets you focus on the music. 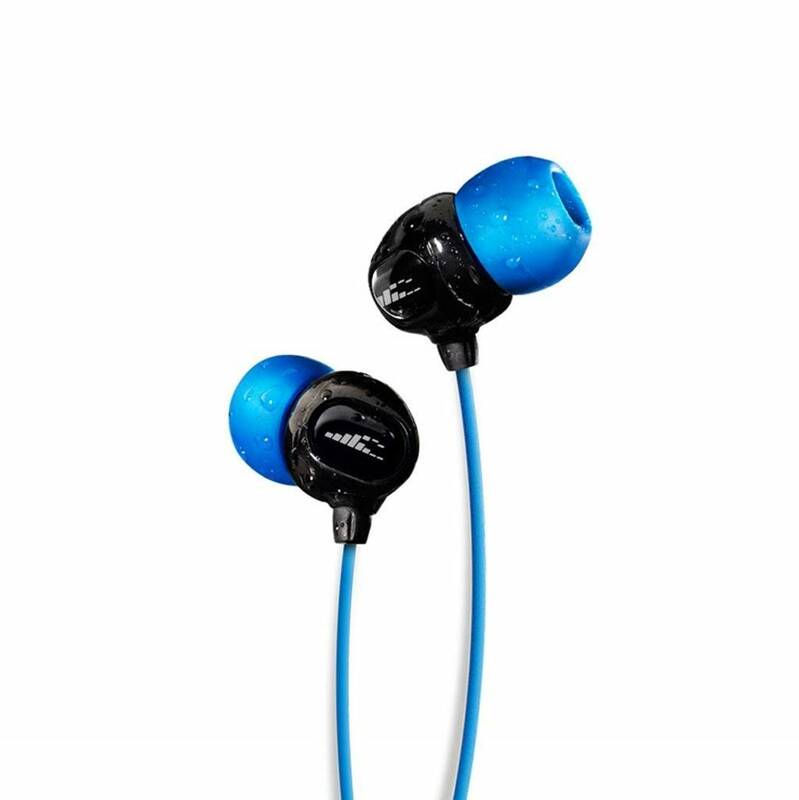 They are 100% waterproof stereo earphones that can withstand heavy perspiration, rain, and complete submersion to 12 ft /3.6 m underwater with an IPX8 rating. The H2O Audio Surge+ workout earbuds have been designed with athletes in mind. Their ergonomic sheared shape sits flush with the ear and is designed to promote proper alignment of the ear bud with the ear canal making it comfortable for the listener. They feature sleek and modern looking design, and they come in black/blue color. The package includes 5 sets of high quality earplugs (XS-XL) and three tip sets to ensure that these earphones stay securely in place while the listener engages in sport activity. 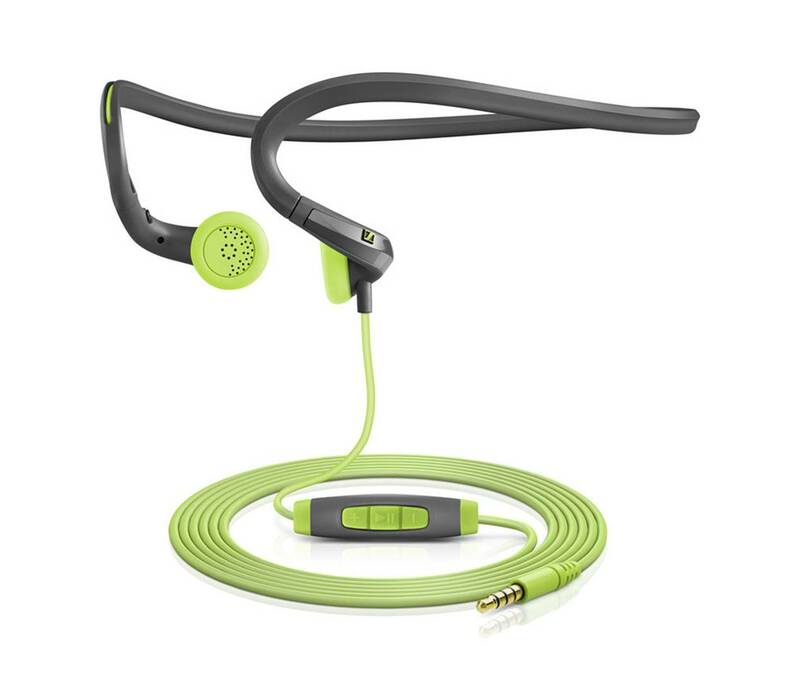 The H2O Audio Surge+ waterproof headphones come with wired connectivity technology and have a normal length cord of 3.6 ft. Their sweat proof quality along with their previously mentioned features allows them to be the appropriate headphones for various sports activities such as swimming, biking, running, surfing and paddle boarding.